The National Council on Disability Affairs (NCDA) won the Best Organization Website. 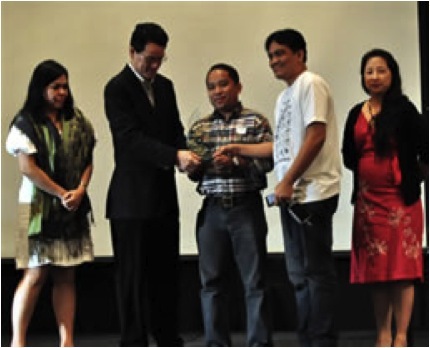 Mr. Dandy C. Victa, (center) Assistant Chief of the Technical Cooperation Division of the National Council on Disability Affairs, recently received the award on behalf of NCDA from Mr. Edward Ling of the Digital Filipino during the 2009 Summit on e-Commerce at the Hotel Intercontinental, Makati City. Also in photo are Mr. Jojo Esposa, Jr. and Ms. Janette Toral of the Phil-E-commerce Book Author.